Gobbledygeek episode 273, “The X-Files: Season 1 (feat. Wesley Mead),” is available for listening or download right here and on iTunes here. Paul and Arlo want to believe. 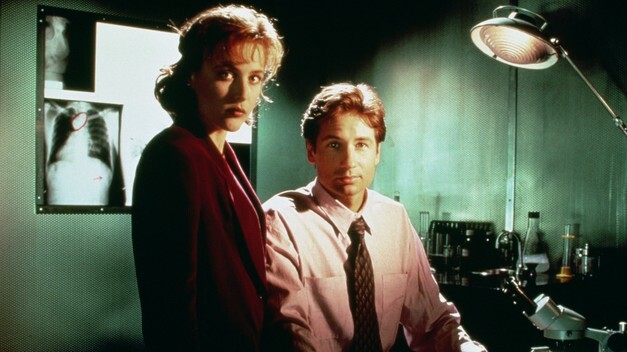 They also don’t want to start yet another spin-off podcast, so this week marks the first of ten sporadic installments discussing Chris Carter’s seminal sci-fi series The X-Files. Joining them to discuss the first season is Wesley “Wezzo” Mead, who beams on over from the UK in his (presumably very British) spaceship. Paul talks about what it was like to watch The X-Files every week with the lights out, Wezzo recalls discovering the show as a young TV obsessive, and Arlo offers the perspective of someone watching the show for the very first time. The gang loves the mutual respect between Mulder and Scully, struggles with some very “freshman season” hours, and are in unanimous agreement on the season’s best episode. Plus, Arlo commits hate crimes against the English and there’s a spoiler-free discussion of Jon Favreau’s The Jungle Book. Next: the second installment of our Four-Color Flashback series analyzing Matt Wagner’s Grendel takes a look at Devil’s Legacy, Pt. 1, collected in Grendel Omnibus: Vol. 2 – Legacy, pp. 66-246. This entry was posted in Shameless Self-Promotion and tagged chris carter, david duchovny, disney, film, gillian anderson, gobbledygeek, horror, jon favreau, movies, sci-fi, science fiction, television, the jungle book, the x-files, tv, wesley mead, wezzo. Bookmark the permalink.